After You picks up about a year and a half after the previous book ends. Louisa Clark is back in London working a crappy job and trying to figure out what to do with her life. She's falling back into her old ways and feeling guilty for not doing more with her life as Will had wanted for her. She attends a support group full of unique characters who are all struggling with loss and grief. There she learns a bit about herself and her feelings, and makes connections with people who understand what she's going through. But it is two other people who bring complexity, excitement and love back into her life: Sam Fielding, a paramedic who helps her after a freak accident, and Lily, a girl from Will's past. Both complicate her life and push her beyond her comfort zone. I had mixed feelings about these characters, especially Lily. 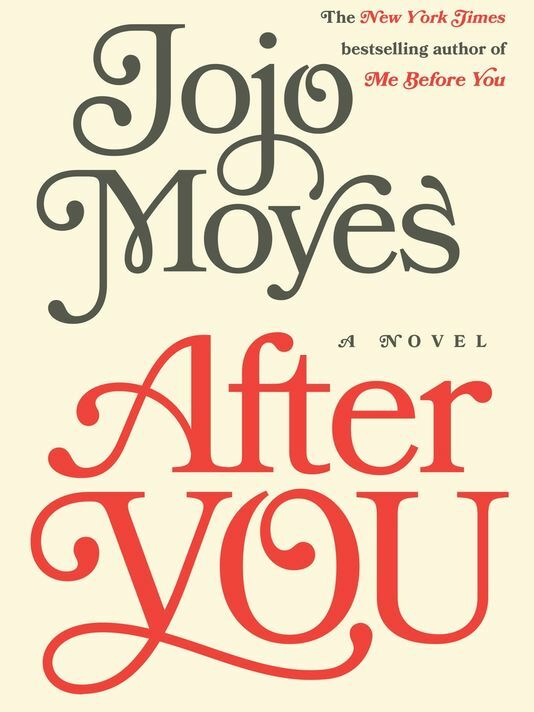 At first, I wasn't happy with the direction Moyes was going in, but in the end I enjoyed both characters and their relationships with Louisa. Unfortunately, After You is just okay. It didn't pull me in and make me feel deeply the way that Me Before You did. This review was written based on a copy of After You that I received from the publisher in exchange for an honest review. This post includes Amazon Affiliate links. If you purchase something using my link, I will receive a very small commission but your price does not change.